The tax reform legislation commonly known as the “Tax Cuts and Jobs Act” hid several tax increases among the large rate cuts and new benefits. With a little know-how and planning, Phoenix-area businesses can reduce the impact and unexpected snags of these new taxes. For tax years beginning after 2017, the deduction for net business interest in excess of interest income is limited to 30 percent of a measure of taxable income that generally excludes interest, taxes, depreciation and amortization. This measure of taxable income becomes more unfavorable in starting in 2022, when depreciation and amortization must be included. Highly-leveraged businesses can easily have their interest expense limited based on this new provision. Businesses should be looking ahead to 2022 when the limitations are more egregious and be planning around the debt limitation. Before 2018, most business meal expenses were subject to a 50 percent limitation. One important exception allowed a 100 percent deduction for meals at an employer provided facility for the convenience of the employer. This exception has now been repealed. In addition, the ability to deduct 50 percent of entertainment expenses has been repealed. Now, these expenses may not be deducted at all. 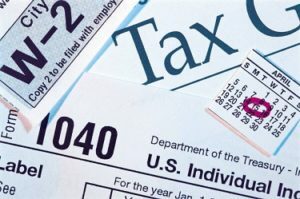 Individuals owning pass-through businesses may be allowed a deduction of up to 20 percent on the income allocated to them, but the deduction is subject to several criteria, which may reduce the benefit. Even if the deduction is allowed in full, the top effective rate for pass-through income would be 29.6 percent, much higher than the 21 percent corporate rate. In addition, the international anti-base erosion provisions can be more painful for pass-throughs. In particular, C corporations are allowed a deduction against the tax on Global Intangible Low Tax Income (GILTI) that pass-throughs are denied. At Grant Thornton, we have been assisting clients with modeling, including determining whether or not it makes sense to convert to a C Corporation because of the lower rate. The analysis depends on many factors, including the amount of earnings distributed, any international operations, future plans to exit the business, estate tax planning considerations, and any tax costs of the conversion itself. Beware, if your corporation has a requirement to file form 5472, Information Return of a 25 percent foreign-owned US Corporation of Foreign Corporation Engaged in a US Trade or Business, make sure you include the forms in your return. The penalty for failure to file these forms has increased to $25,000 per form. Bottom line: It’s important to plan ahead so you and your business don’t get snarled by these recent changes. Donna Tannatt is a Tax partner at Grant Thornton LLP, based in the firm’s Phoenix office.